After watching Bethesda announce and showcase DOOM 4 at E3 this year, I got the itch to play the classic game again. From the looks of things, id is going back to a classic formula of speed and brutality over the slow and careful pace that DOOM 3 gave us. One of the things we saw in the videos were finish moves, almost fatality like combat in first person - likely a gameplay mechanic to conserve ammo. If you've followed the development of a mod for DOOM called Brutal DOOM, you know this has existed for some time. So I did what any good gamer would do, I installed Brutal DOOM and checked it out...for science! 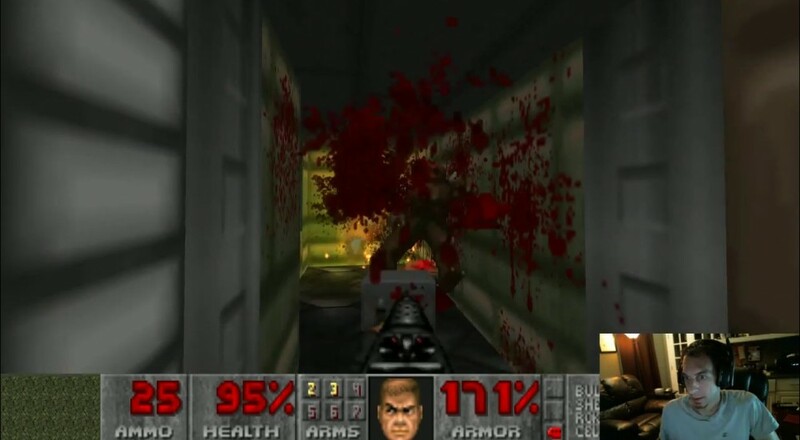 Getting Brutal DOOM to run with the Steam version of DOOM is fairly straight forward, you'll want to download GZDOOM and replace the DOSBOX executable in Steam with the one in the zip file. Then extract the Brutal DOOM files to that directory (under a folder named Skins) and you are good to go! The combination of the two will give you the ability to run the game at higher resolutions and apply graphical filters like lighting and other enhancements. Co-Op play and other multiplayer is also fully support, but I couldn't quite figure out yet how to get that up and running. Hopefully we'll have a stream of that shortly!